Earlier today, XSEED Games launched the website for Rune Factory 4, the latest installment in the Harvest Moon spin-off. Along with the new website comes the reveal of Rune Factory 4‘s release date. The game will be coming to both stores and the eShop on October 1st. It is important to note that, historically, dates given by XSEED have always been the shipping date. We’ve seen this happen a number of times in the past year with The Last Story and Pandora’s Tower. So, while we should see the game released on the eShop on October 1st, we should expect physical copies to come in around two days later on October 3rd. Still, this is good news for a game that we’ve been waiting a while for. Check out the press release below as well as the Rune Factory 4 website for more details. Torrance, Calif., (September 12, 2013) – XSEED Games, the independent-minded console publishing brand of Marvelous USA, Inc., today announced that the RPG simulation adventure title Rune Factory 4 will release on October 1, 2013 for the Nintendo 3DS™ hand-held system in North America. The title will be available both packaged and digitally on Nintendo’s eShop for a MSRP of $39.99. The newly launched official website can be found at www.runefactory4.com. 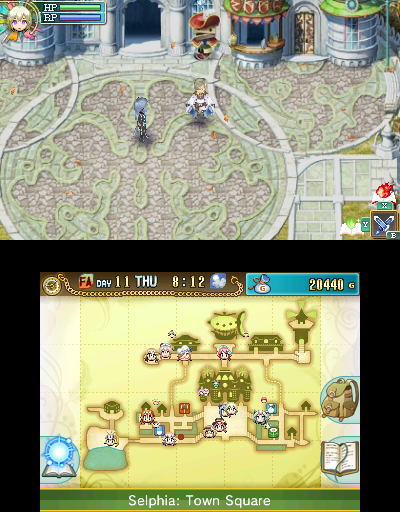 Rune Factory 4 is a fantasy life simulation game that combines farming and resource management with classic RPG dungeon adventuring. 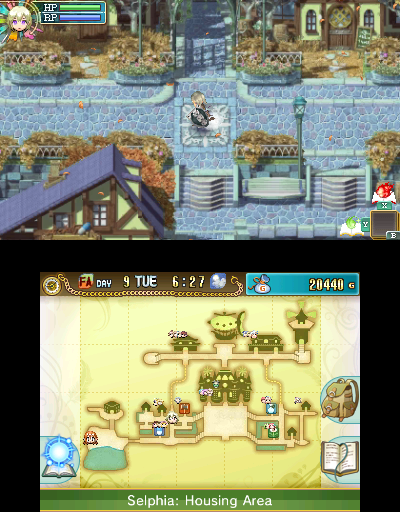 For the first time in series history, Rune Factory 4 gives players the option to play as a male or female hero. As the newly-appointed prince or princess, players fulfill royal duties of fulfilling requests from townsfolk, or taking a more rural approach to governing by harvesting their own fruits and vegetables to help out in other ways. The prince or princess can woo marriage candidates from among the townsfolk. Communication and gift giving will be key to romance, potentially resulting in marriage and perhaps even a child. Players will be aided in dungeon adventuring by the castle’s vast armament of swords, spears, and staffs along with magical Rune abilities in battle against dangerous foes, and can even be supported by a companion or tamed friendly monsters. Rune Factory 4 was developed in Japan by Neverland Co. and MarvelousAQL Inc., and will be released by XSEED Games in North America for the Nintendo 3DS on October 1, 2013. For more information on XSEED Games products, please visit http://www.xseedgames.com. Fans can also follow XSEED Games on Facebook at www.facebook.com/XSEEDGames and Twitter at www.twitter.com/XSEEDGames. This title has been rated E10+ by the ESRB.